at 2500 Biscayne Boulevard, Miami. The development was completed in 2017. Leases for available units range in price from $2,031 to over $3,198. 2500 Biscayne Blvd has a total of 156 units. Sizes range from 715 to 1284 square feet. 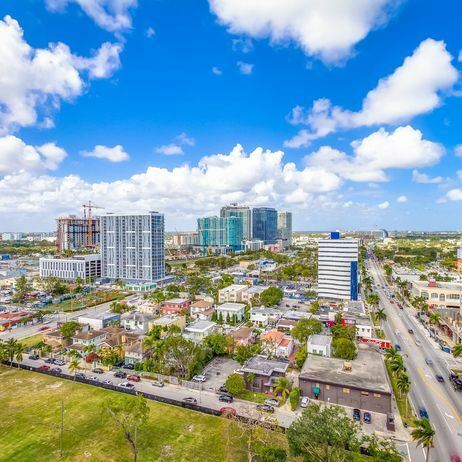 Vibrant and full of energy, Edgewater is just minutes from Wynwood, Downtown, and Brickell, making it easy to get your fill of the arts, entertainment and dining Miami is known for. For nights in, take advantage of the sleek, chef-inspired kitchens with large quartz countertops, energy-efficient stainless steel appliances, and designer finishes. These one and two bedroom floor plans feature open-concept layouts, light-filled rooms, cool tile flooring, and private outdoor living space. Fill your apartment with one-of-a-kind finds from shops in the Design District, stock your fridge with essentials from the Wynwood Farmers Market, and soak up the sun along the Bay and at Margaret Pace Park. 2500 Biscayne is the perfect place to stay and play. Your inquiry will be delivered to the 2500 Biscayne Blvd leasing team, who will send you more information about this development.